Awesome giveaway! I was looking at these products in Myer last week. 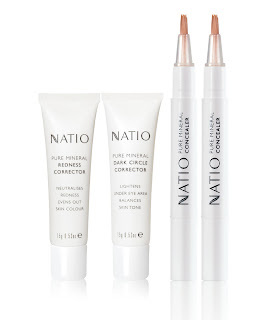 I'd love to try the dark circle corrector, with a new baby I really need it at the moment. WOWEE!! Thanks for the giveaway. I am a GFC follower. My skin concerns are my poor complexion and skintone. I look ill without makeup!!! Hello, I am follow via GFC. My skin concerns are: pesky undereye circles, uneveness and dullness. Thank you for the great giveaway and blog! My skin concerns are my acne-scarring which causes redness on my skin, and the usual tired eyes and dull skin. I follow you through email subscription. My skin concerns are usually dark circles and dullness of the skin. 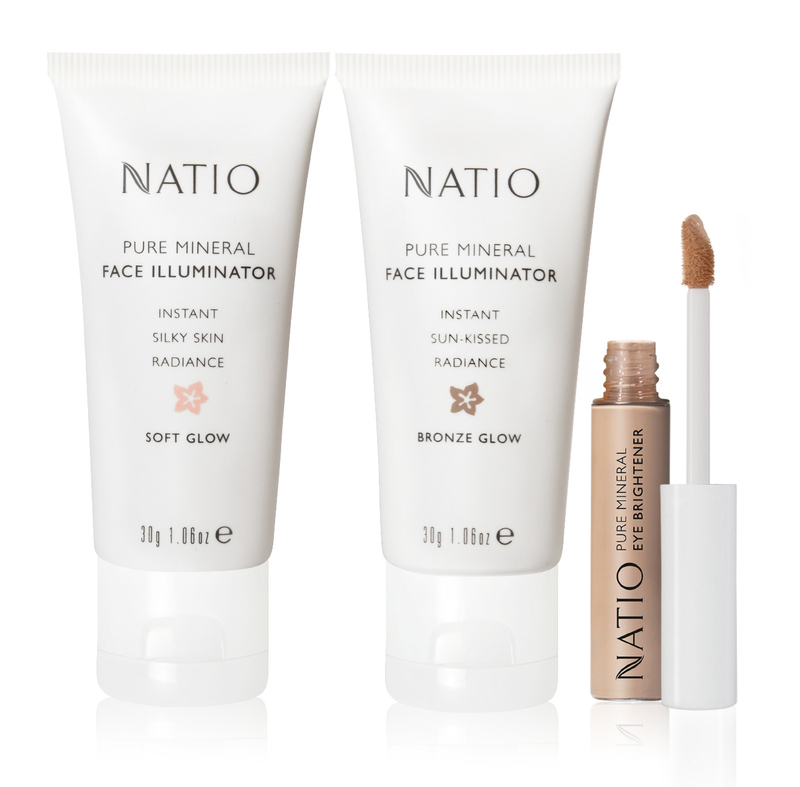 I would like to brighten up my dull, sensitive skin with the beautiful soft glow mineral illuminator. I'm also eager to try out the eye brigtener and the dark circle corrector on my tired, eczema-prone under-eye area. I feel like i have dull skin so the face illuminator appeals to me! I'm a long time fan of Natio, I can't believe I haven't spotted this at Myer yet! I have sensitive skin and quite a bit of pigmentation which has gotten worse after having children. Hi, I have subscribed and I am from BH(Nidhi1). I want to hide my blemishes and uneven skin tone. I also just subscribed :) I want to hide blemishes from time to time, uneven skin tone the most and also dark circles around my eyes. My major skin concern is my eczema prone dry skin which ultimately means my skin is constantly dry ,my complexion is very dull and I suffer from hyper-pigmentation. I am 20 years of age but I feel like without proper care I could easily look 30. 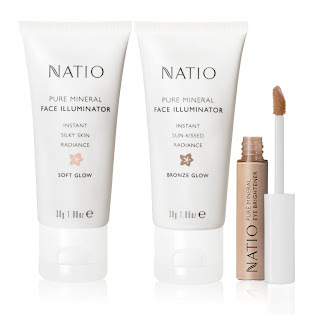 I believe that using products from this range such as the Fight dullness with face illuminator and the redness correcter will make me feel more radiant and my skin more smooth. 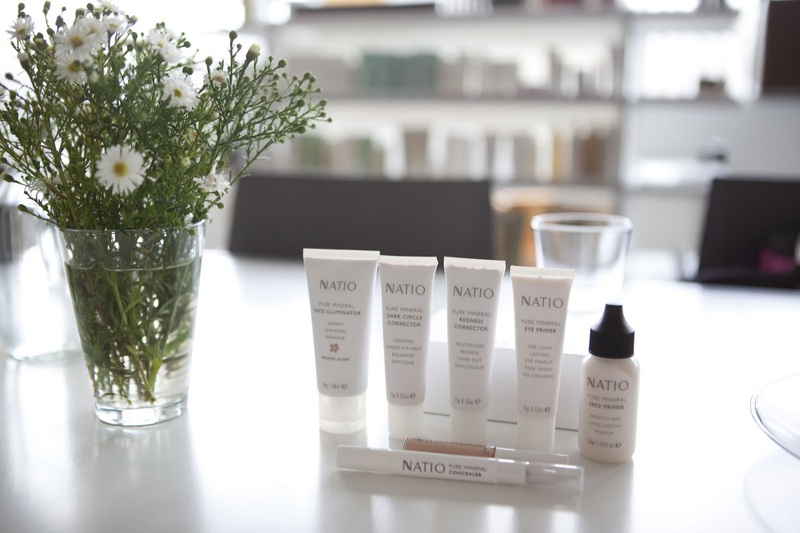 I believe beauty comes naturally and it can be helped by using Natio natural special concern correctors! 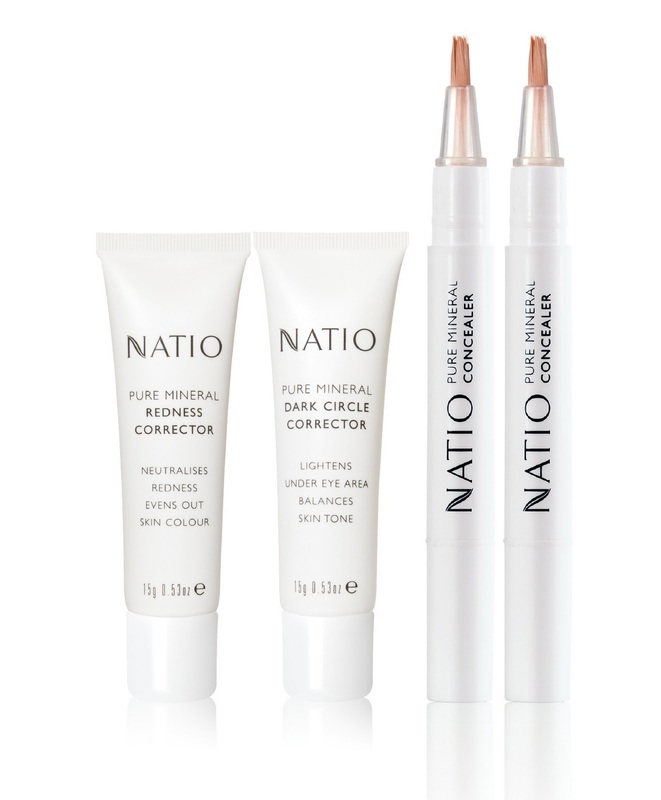 I would like to address pigmentation and signs of tiredness with the new illuminators and eye correctors and concealers. Having never used mineral makeup in the past, I truly would like to try this more natural approach to cosmetics and to see what an improvement it can make to my skin. Being a mum of a 14 month old who thinks its perfectly reasonable to start the day at 5.30am, tired eyes is what I want to address the most. I'm a Google Reader Girl with dark circles and the occasional blemish, so I'm most interested in the Dark Circle Corrector and the Concealer. 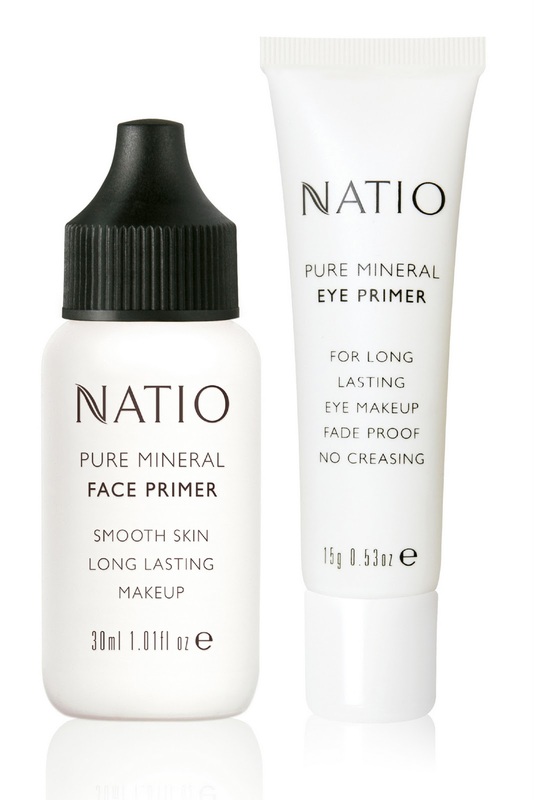 I'm also loving the face and eye primers and the Eye Brightener. Hello Lil, I subscribe via email . My skin needs are under eye circles, pigmentation and dull skin.